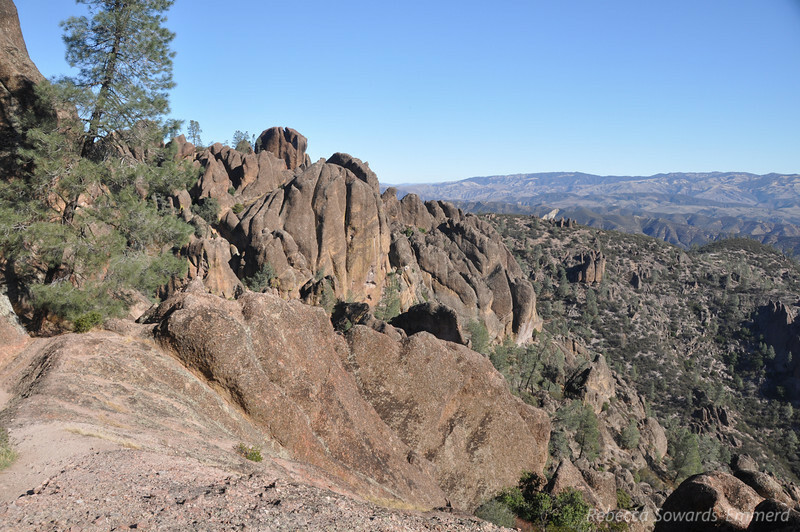 A 13 mile loop starting at the Chaparral Ranger Station. 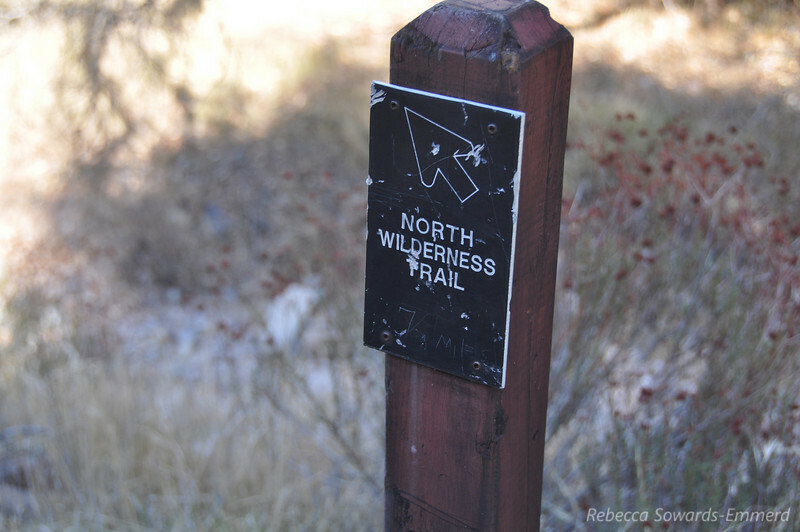 Over the High Peaks, down to the east side, then back along the remote and unmaintained North Wilderness Trail. 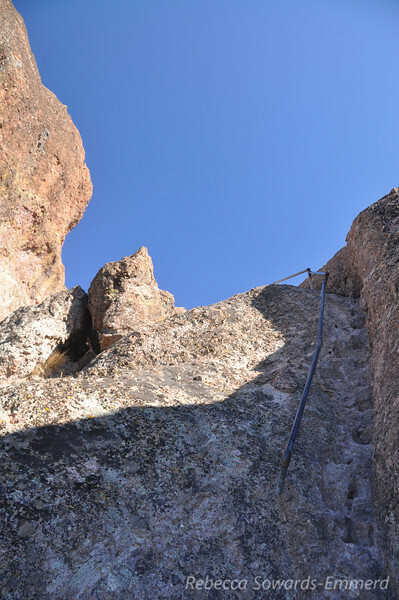 Full trip report here. 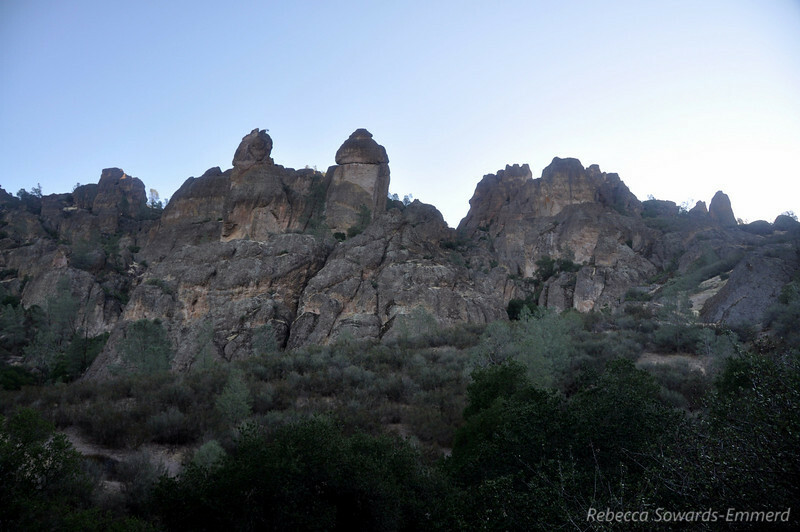 Morning view from the parking lot. 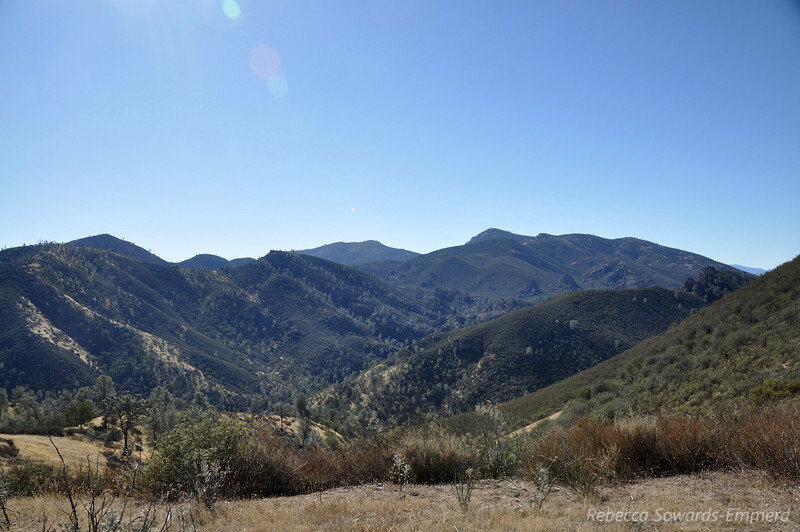 We start off in cold temps as the morning sun hides behind the high peaks. 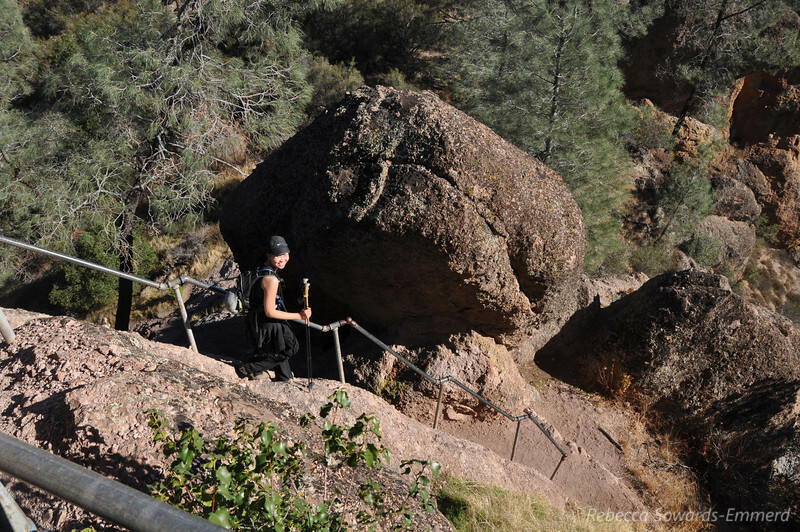 Our group heading up the trail. 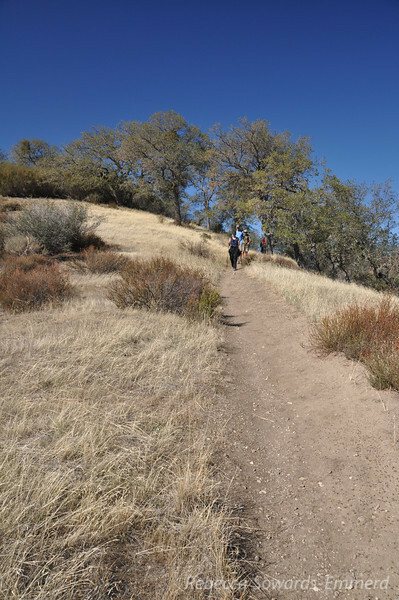 We're getting the steep part of the hike out of the way while it's cool out. 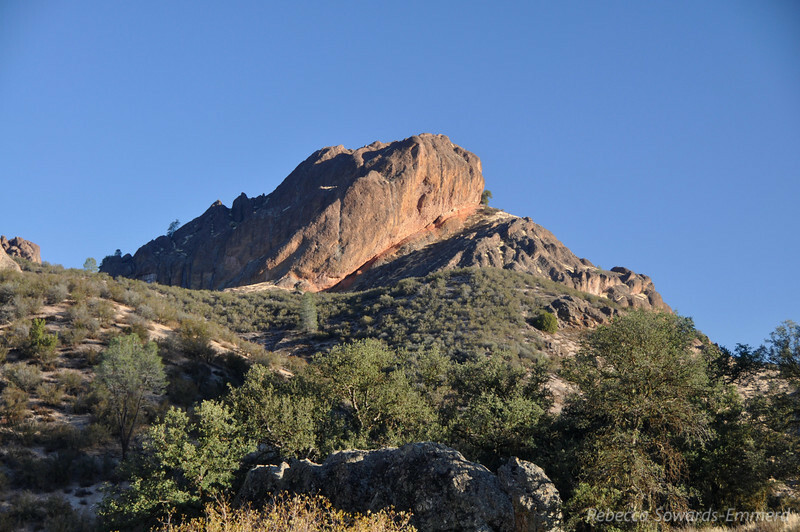 View of the High Peaks from below. 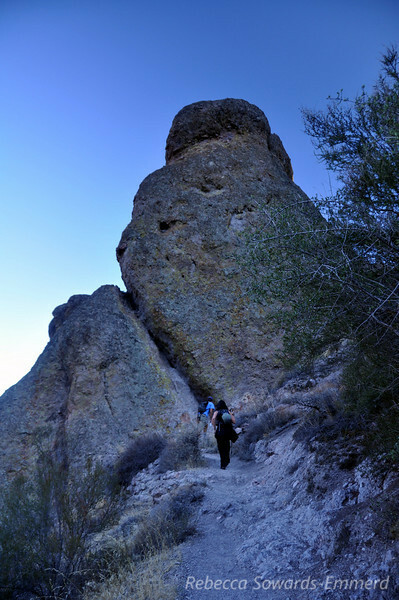 Climbing to the ridge. 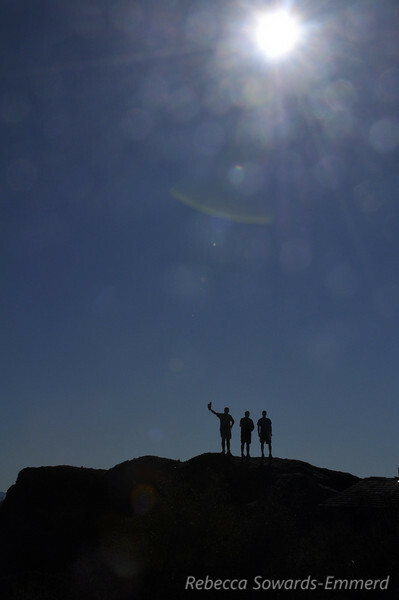 We'll reach it the same time as the sun. 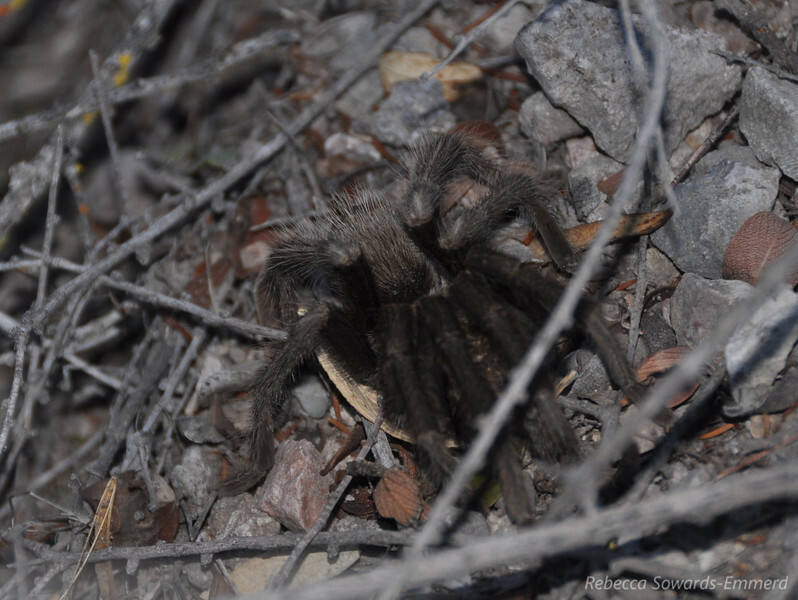 Creepy Crawly tarantula on the trail. 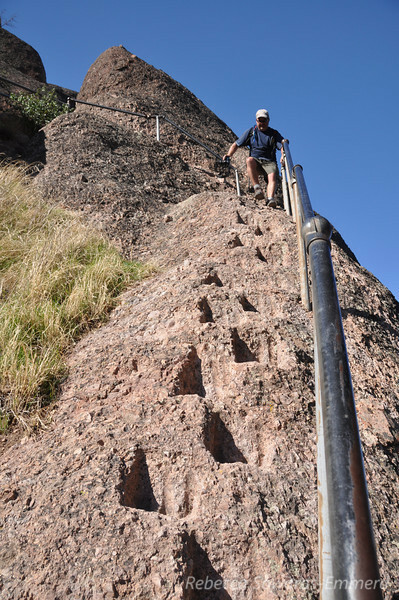 More steps in the rock. 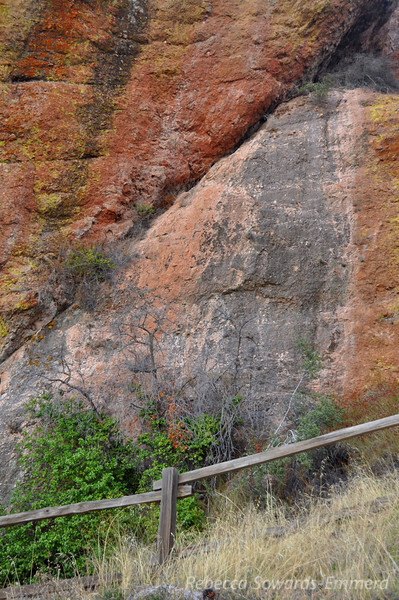 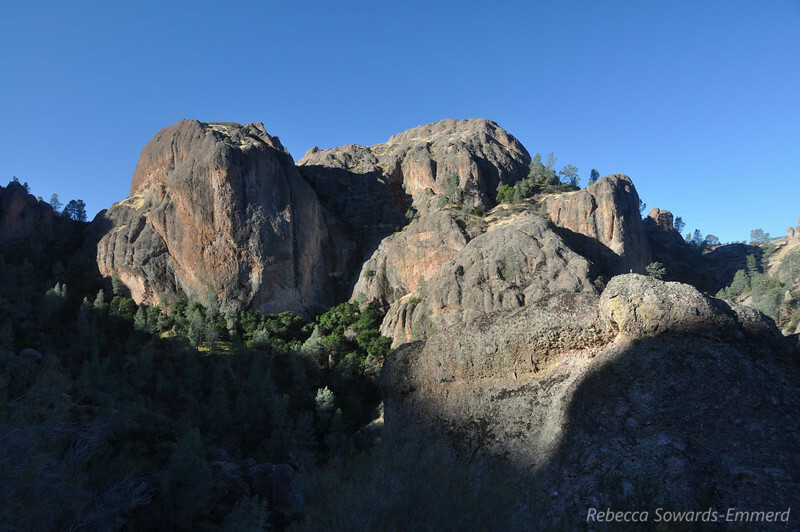 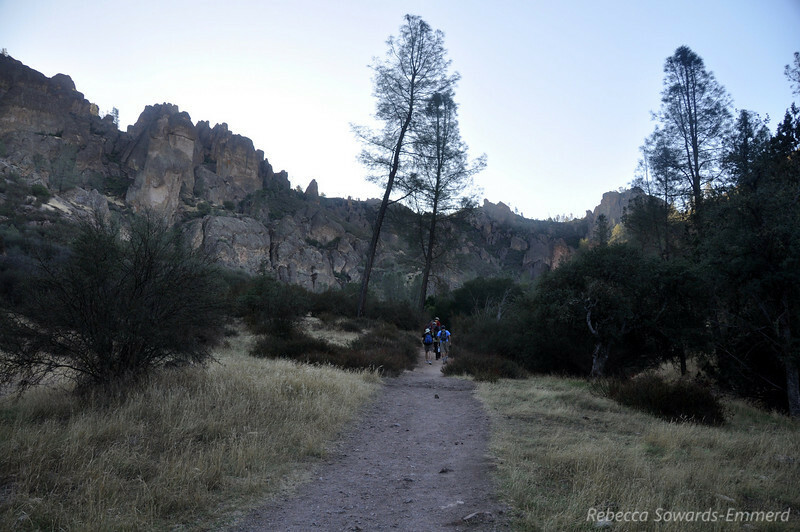 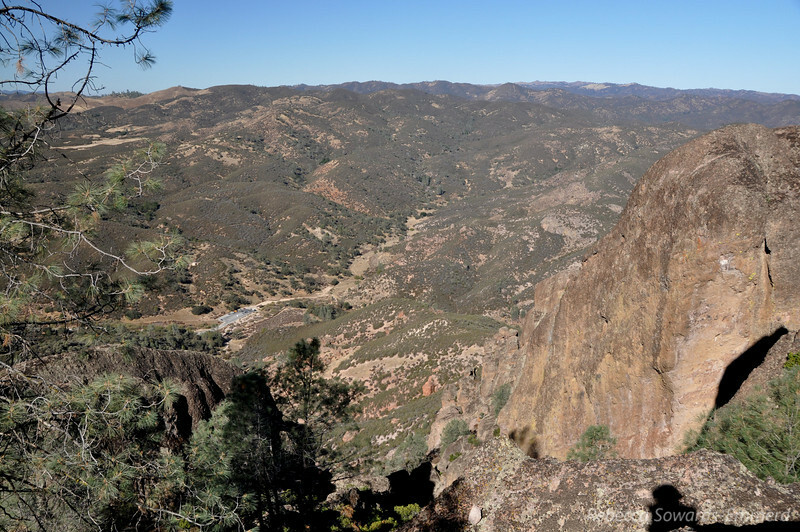 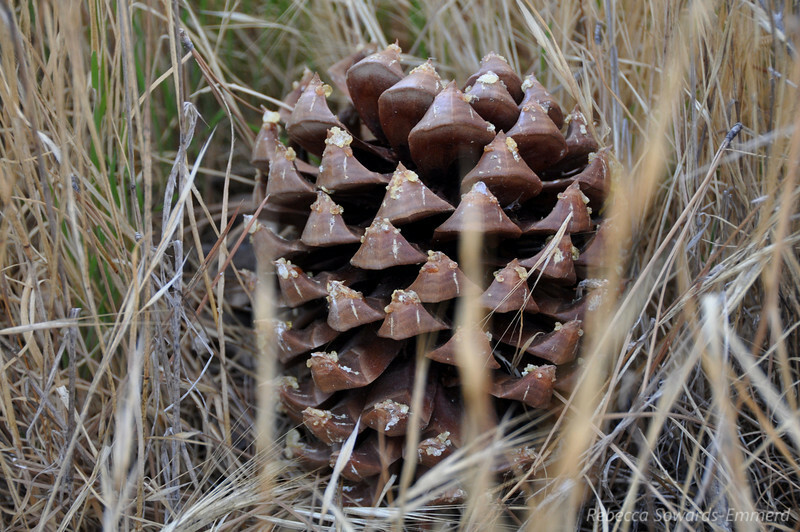 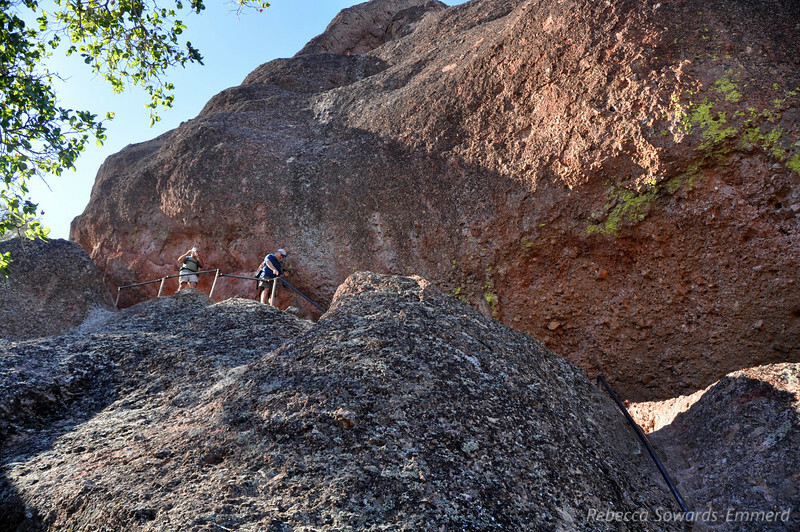 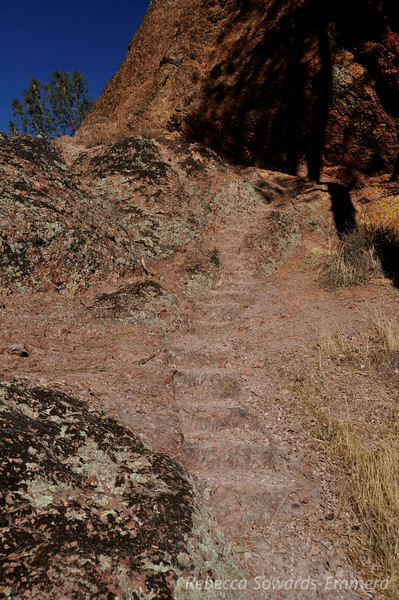 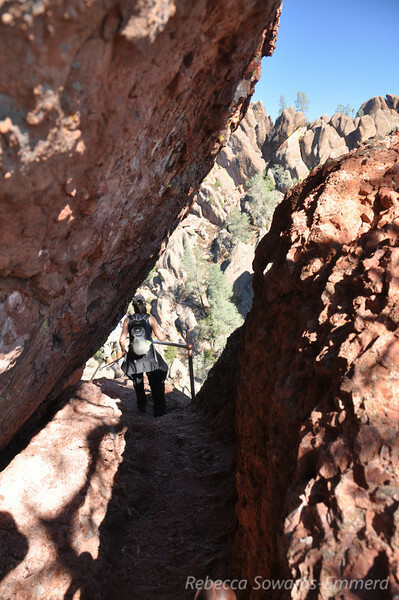 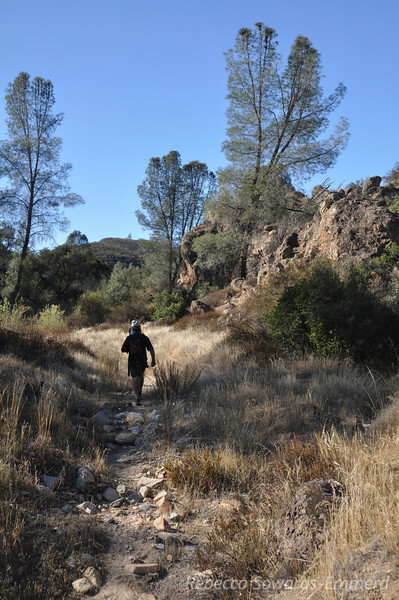 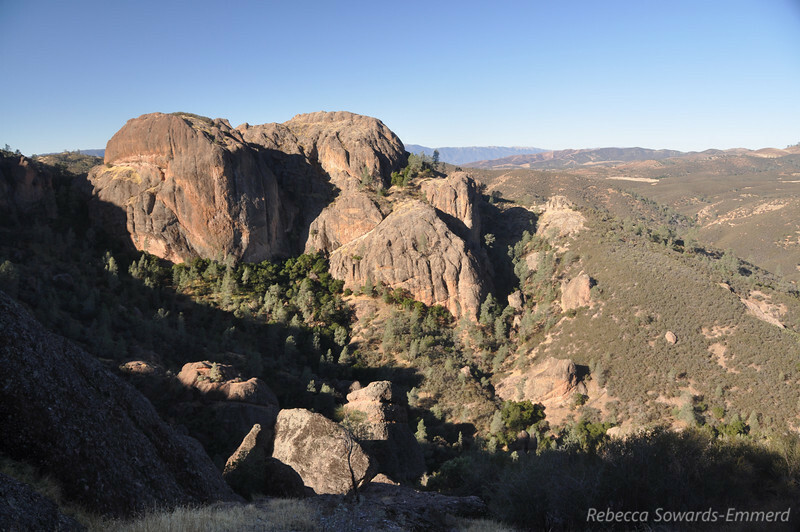 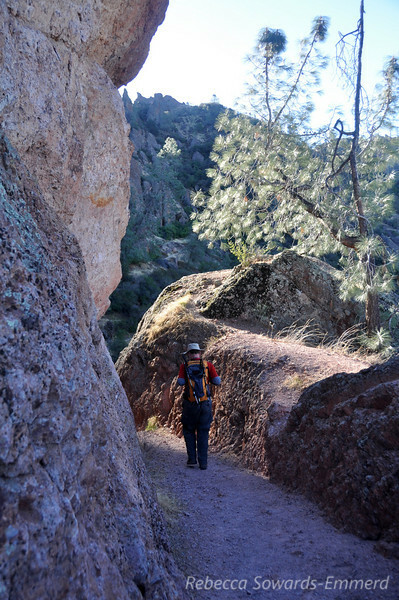 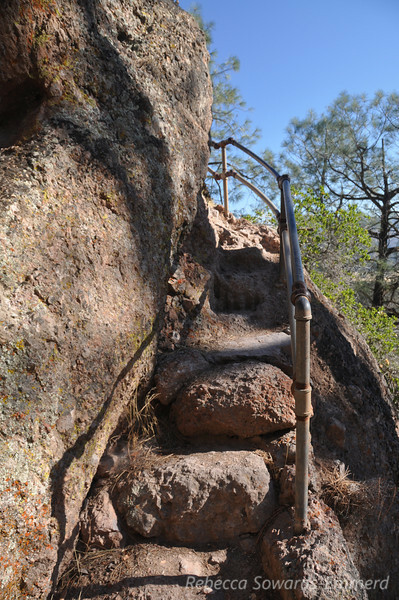 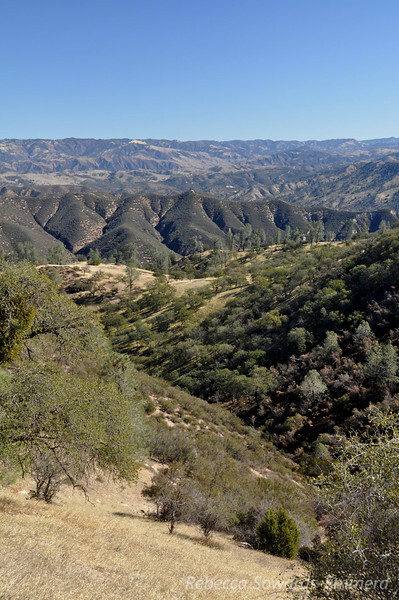 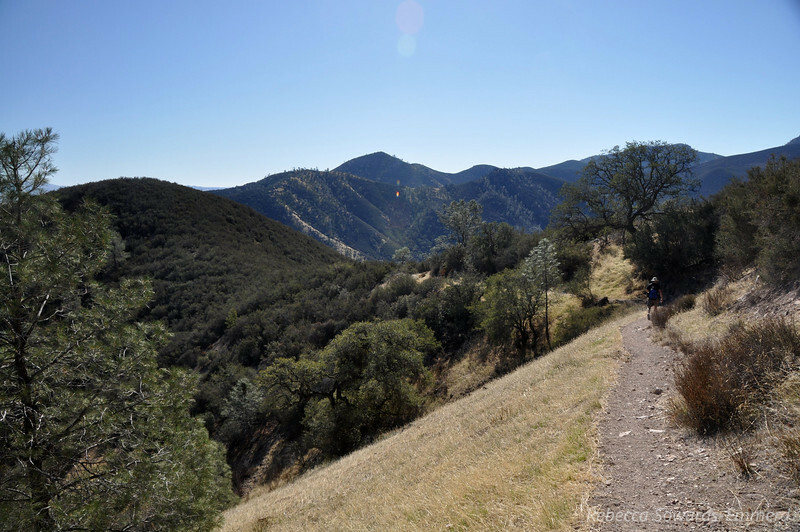 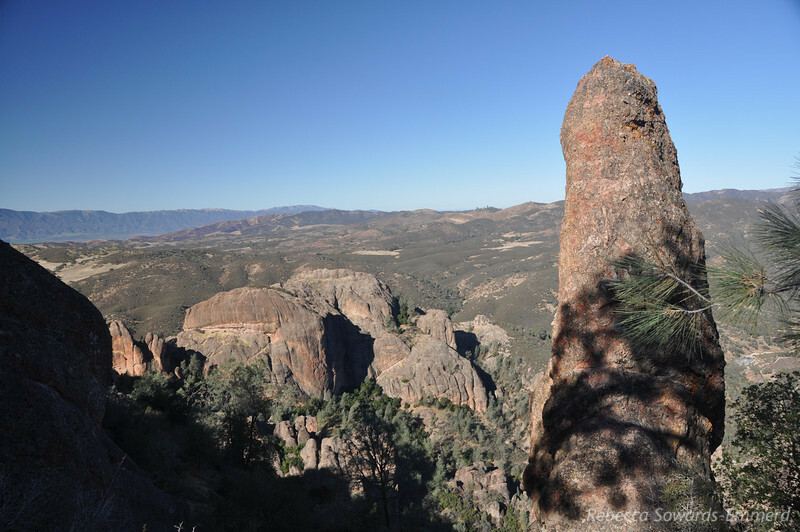 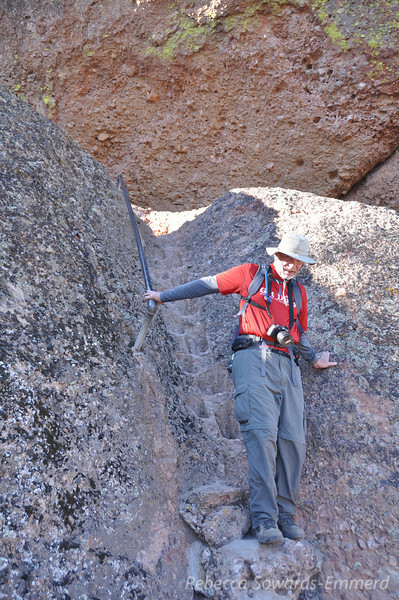 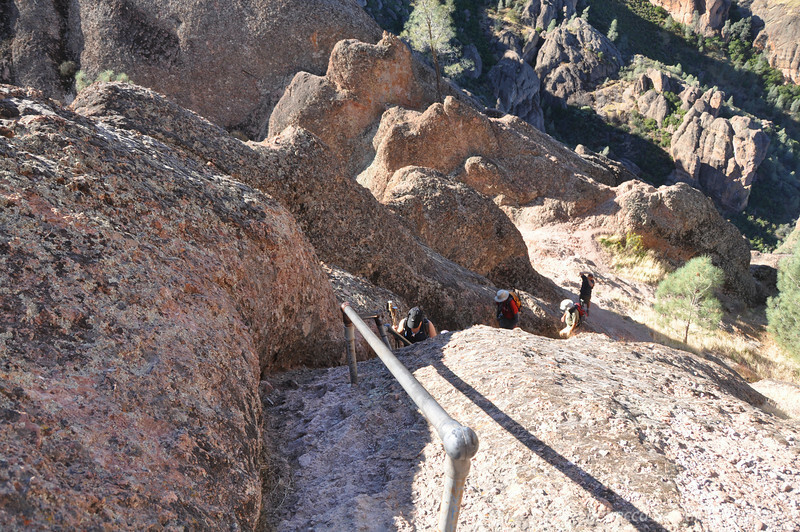 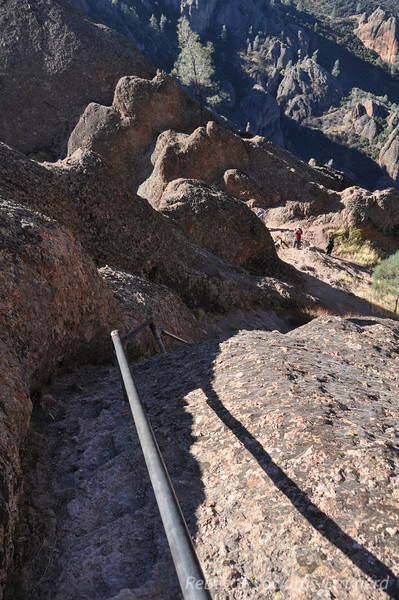 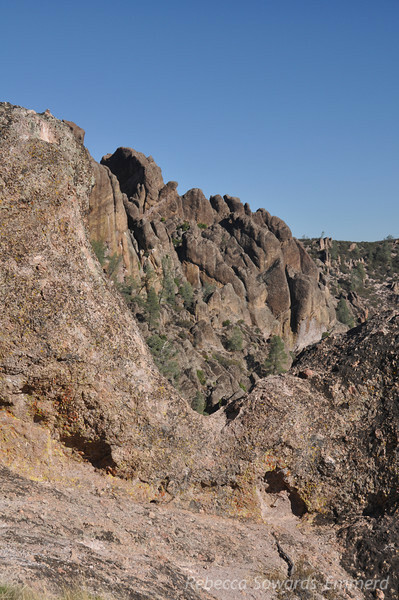 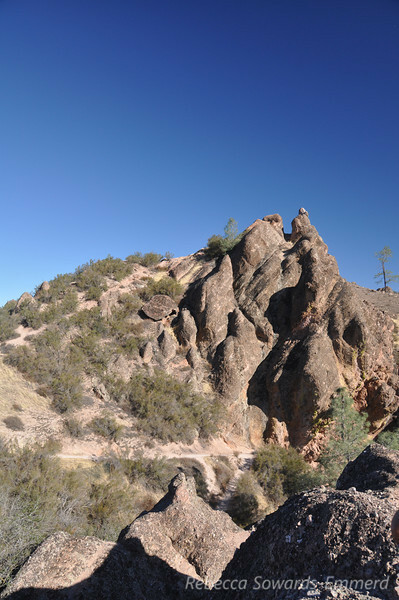 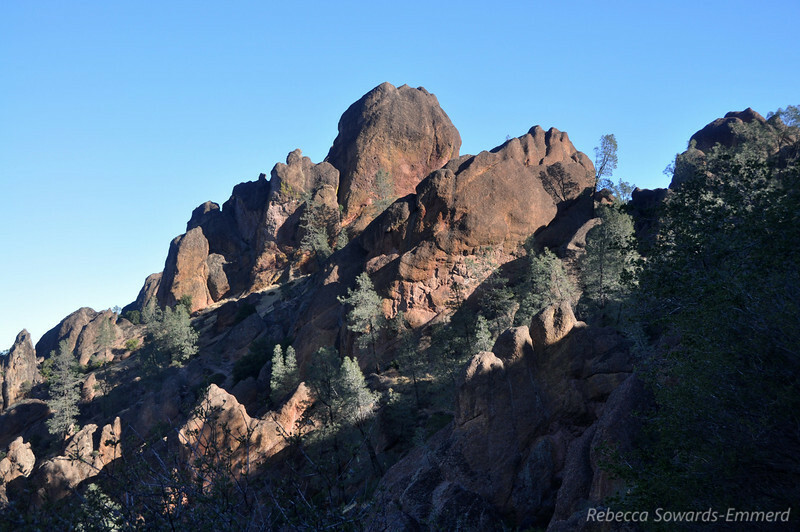 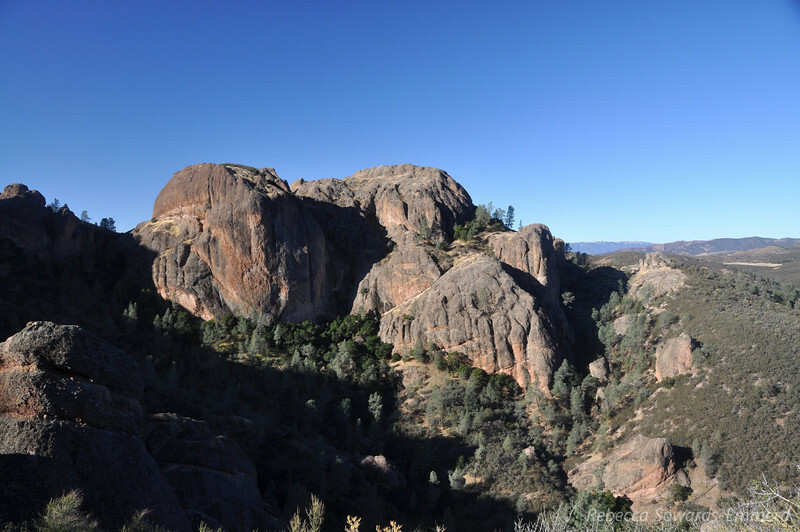 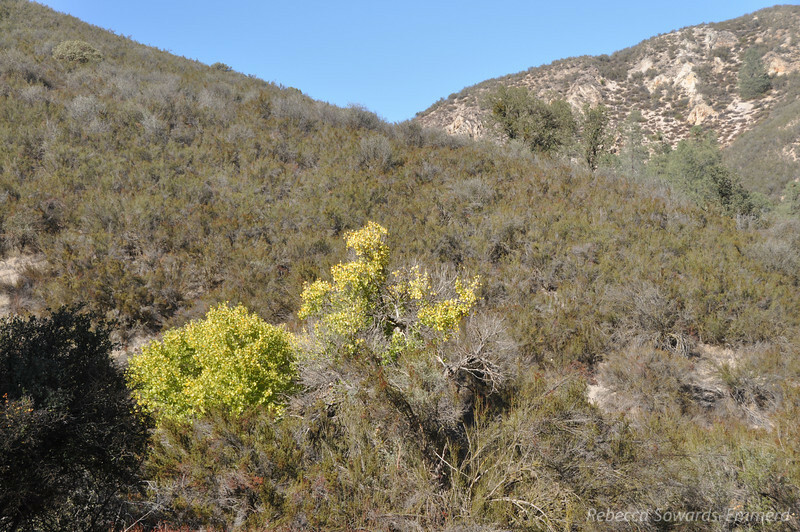 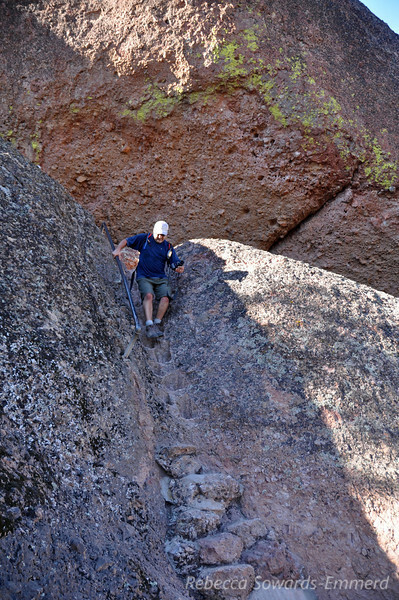 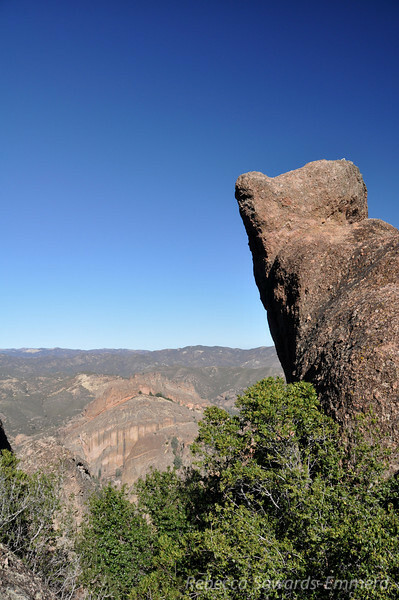 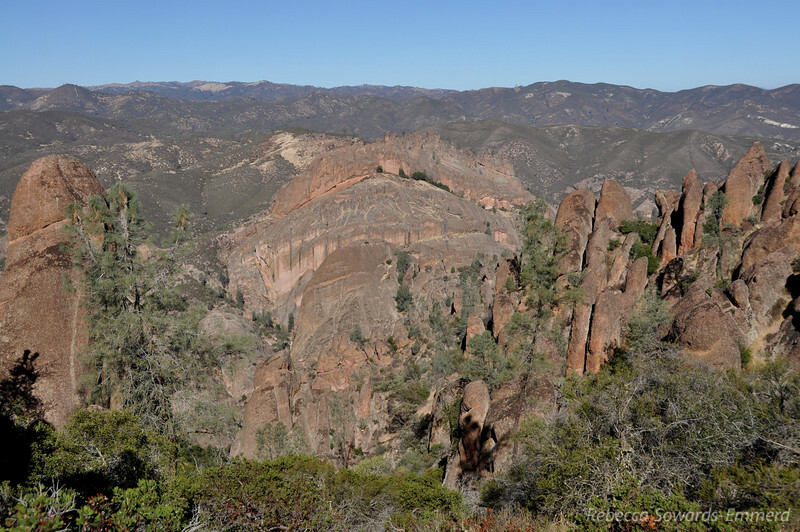 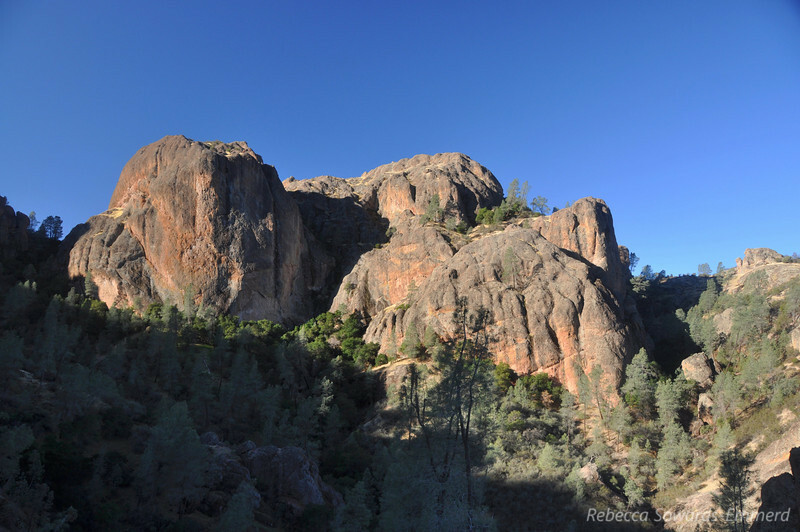 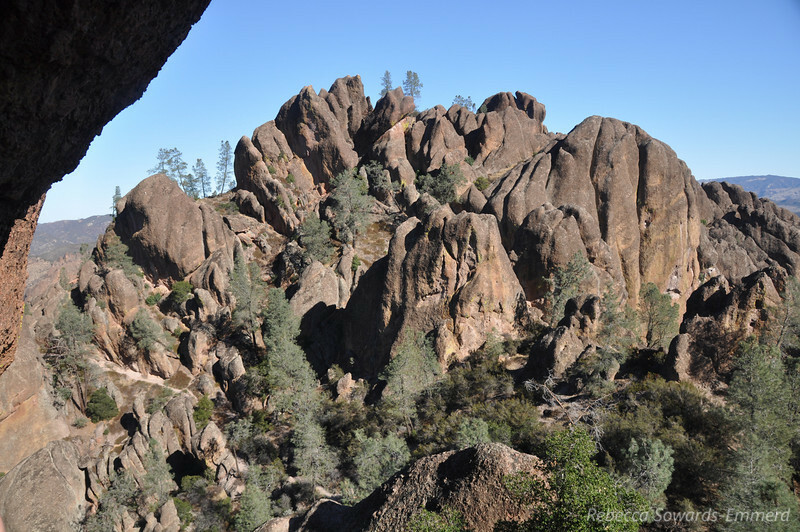 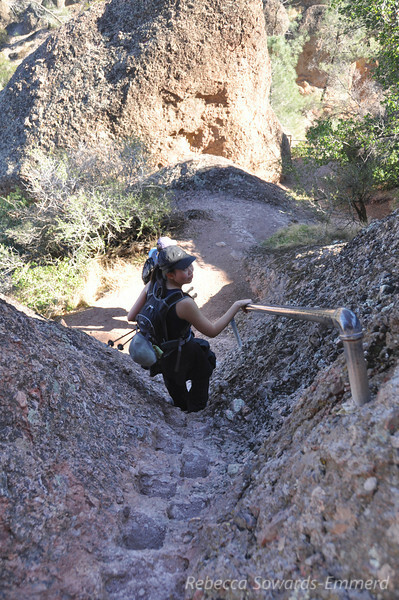 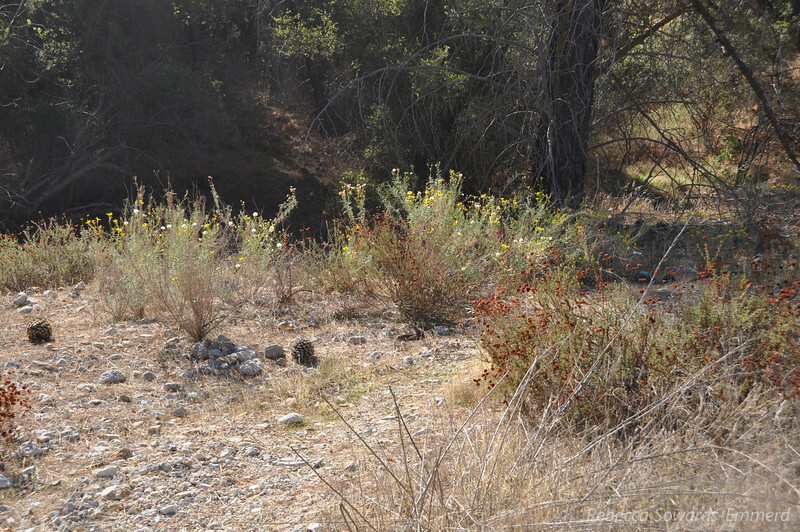 The High Peaks trail in Pinnacles is a feat of trail engineering and a lot of fun! 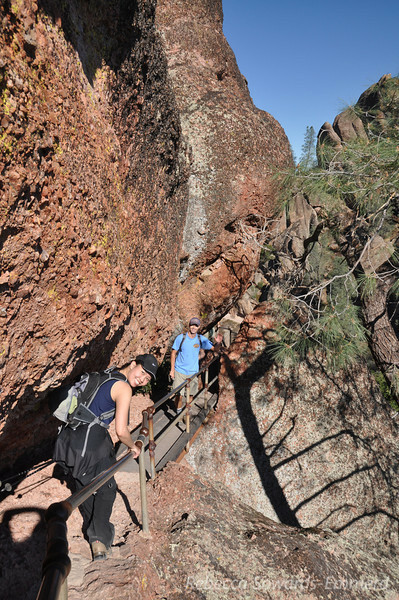 Pang and Jeff at the Crack - make sure to duck or you're gonna bonk your head. 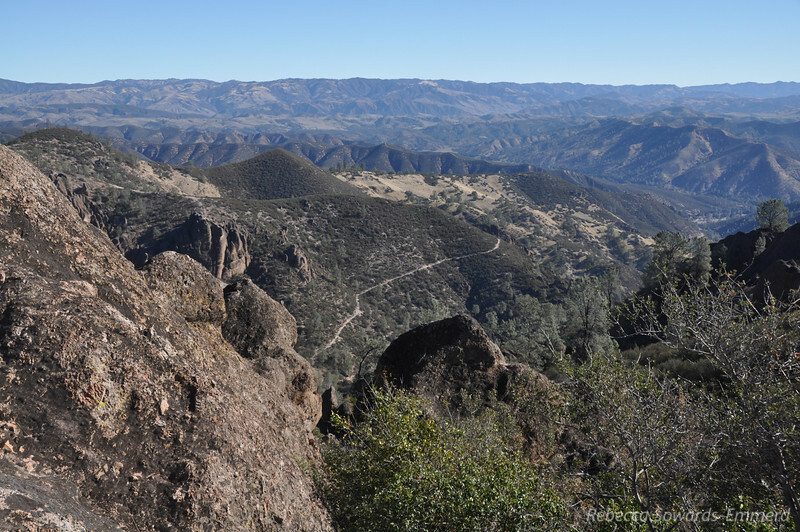 High Peaks - we've usually seen the condors here, but none today. 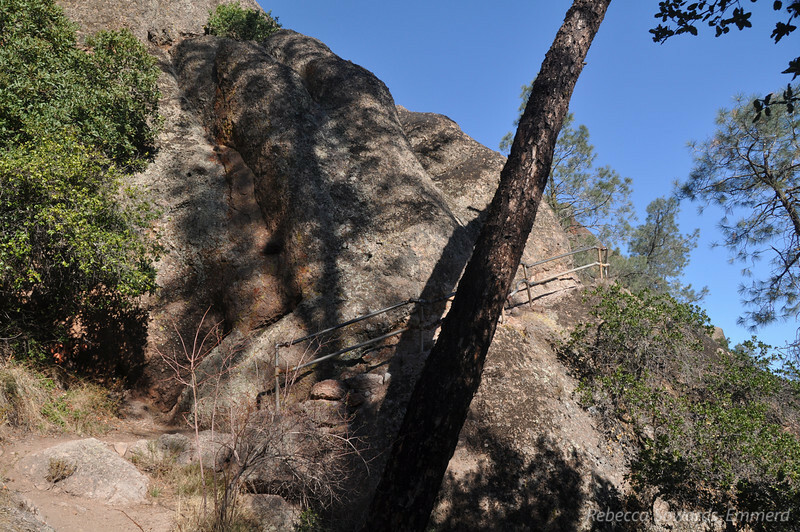 Balconeis area (cave) below us. 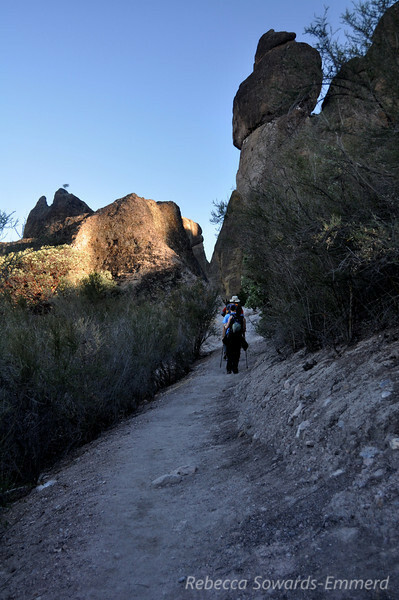 Won't be there today - so much to see, so little time. 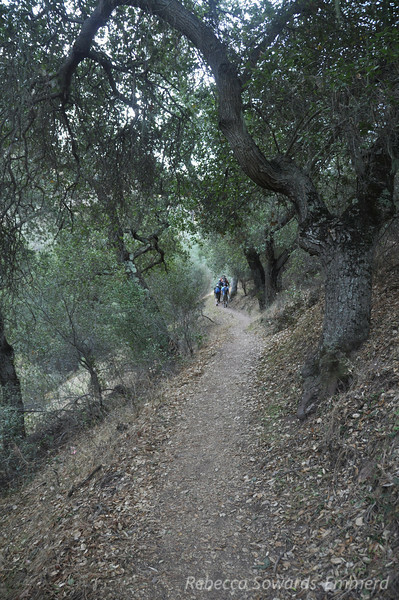 Down the hill. 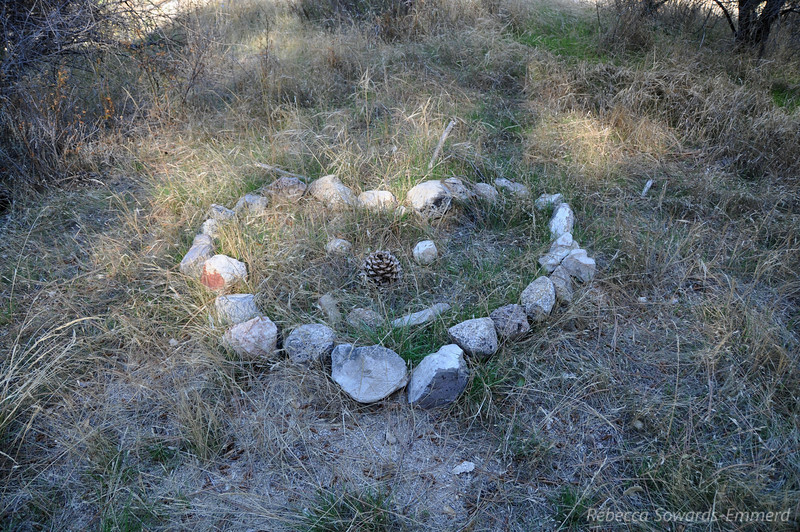 Sun is out now and it's getting warm.